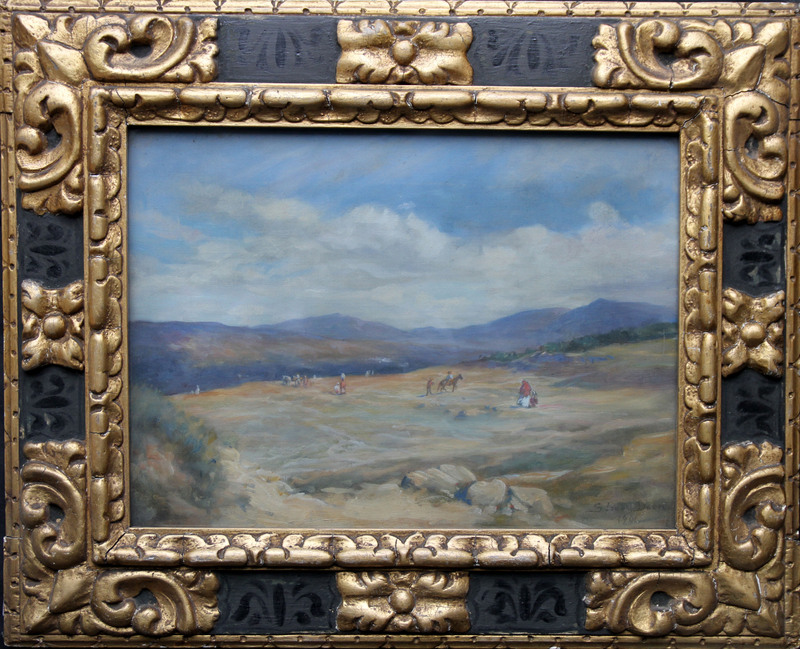 Spanish Landscape is an oil on canvas, framed behind glass in its original gallery frame, by Susan Isabel Dacre. A very rare painting, she was an early member of the Feminist movement and a member of the Manchester arts community. She travelled with Lord Leighton and exhibited widely. Indeed this painting retains an exhibition label for Manchester Art Gallery. This work shows influences of early British impressionism. The clarity and palette are light and airy. It is signed on the right and dated 1901. 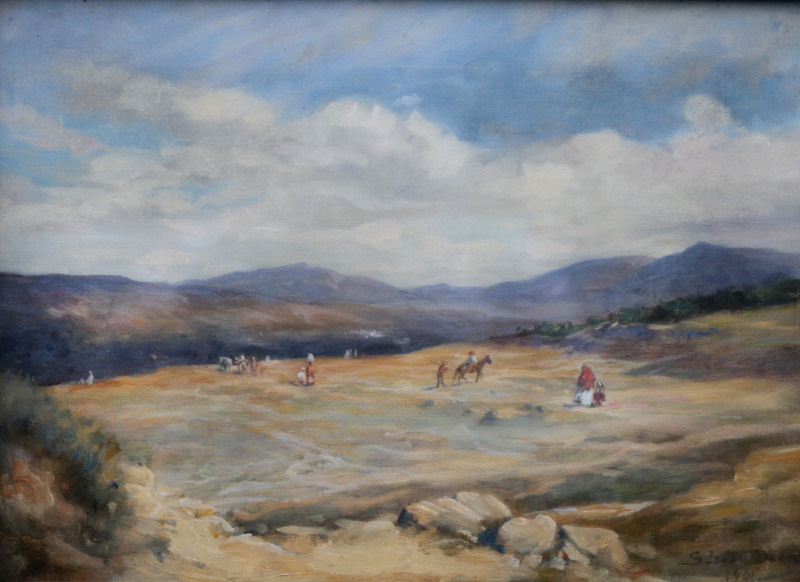 The painting depicts an open expanse of dry arid land with labourers. There is a expansive panorama with mountains beyond. Original Spanish/Moorish frame, 22 inches by 18 inches and in good condition.